Sea lions are endemic animals from the Galapagos Islands. The local population now has around 50,000 individuals, they are adapted to their style semi-aquatic life. They can be seen along the sandy and rocky beaches of the islands. 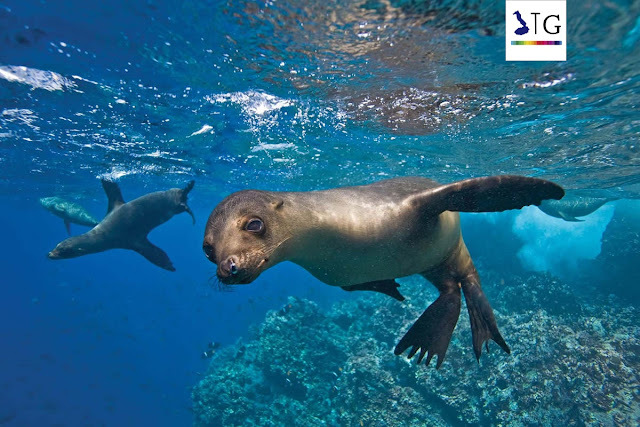 The endemic Galapagos Sea Lion is a subspecies of the California sea lion. It is characterized by its fin-shaped limbs and spend most of the year at sea. Like seals, they differ from these because their hatchlings have a much slower growth, staying up to two years with their mothers. Males have long hair head, feature not present in females, which makes them very similar to the seals. The Galapagos sea lion is also known as "wolf of one hair" because the length of its coat is uniform throughout the body. A male sea lion can weigh up to 250 kilograms (551,15 lb). When they are wet, both sexes are dark brown, and when it dries their skin is often a lighter color. Mating season is usually from July to December. The sea lion fights with other males for control of the territory and the breeding colony is located there. There are several breeding groups present in each breeding colony. These include males, females, young and hatchlings . Females are known to move between the territories if they find unsuitable for breeding dominant male. The females have their young each year. Females wean their babies past 11 or 12 months, but some suckle their young one year old with newborns. 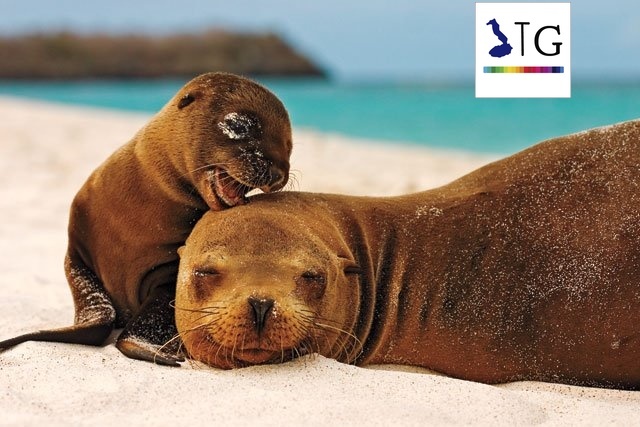 Galapagos sea lions are always playing with each other or with other animals.